We had an absolutely fabulous day on Sunday at the Asian international wedding show, Birmingham Motorcycle Museum. 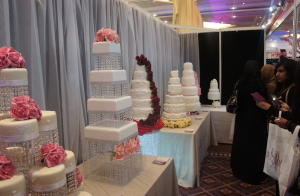 With over 2500 brides and grooms attending the show, our new glamorous Crystal Wedding Cakes and new Wedding Cake Designs for 2014 were mostly certainly a huge talking point at the show. The standard of the exhibitors was outstanding and is the reason why the International Asian Wedding Show is one of the countries top wedding events. The catwalk was incredible showing all the latest fashions for this year. Some of our new Glamorous Crystal wedding Cakes and Wedding Cake Designs are now available for everyone to see in our Sugarbliss Cake Decorating Shop, Knowle, Solihull, West Midlands. 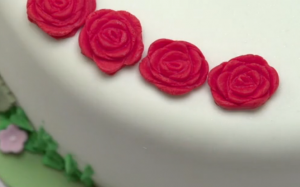 Just arrived in our cake decorating shop is the new FMM Press icing tools. With a further new 6 designs added to their previous selection, these tools are well worth adding to your cake decorating equipment list!